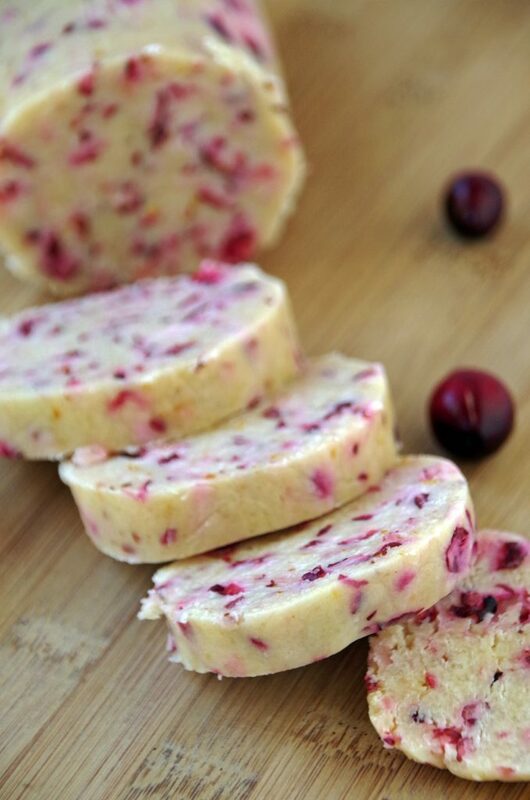 Looking for easy cranberry recipes this month? This mouthwatering homemade shortbread takes only minutes to assemble and has a rich but simple flavor. 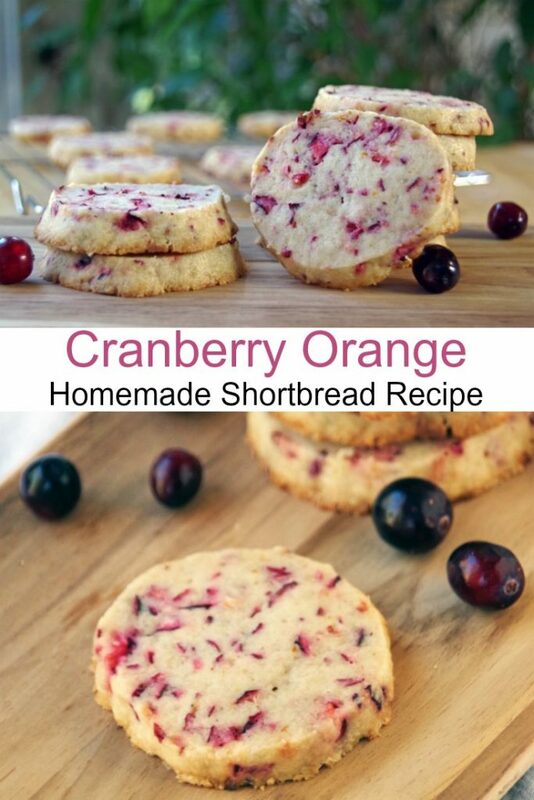 Since I stock up on cranberries every fall, I am always looking for new ways to use them. I mean, cranberry sauce is delicious but I don’t want to eat it every day! However, I would happily gorge myself on shortbread cookies all year round! 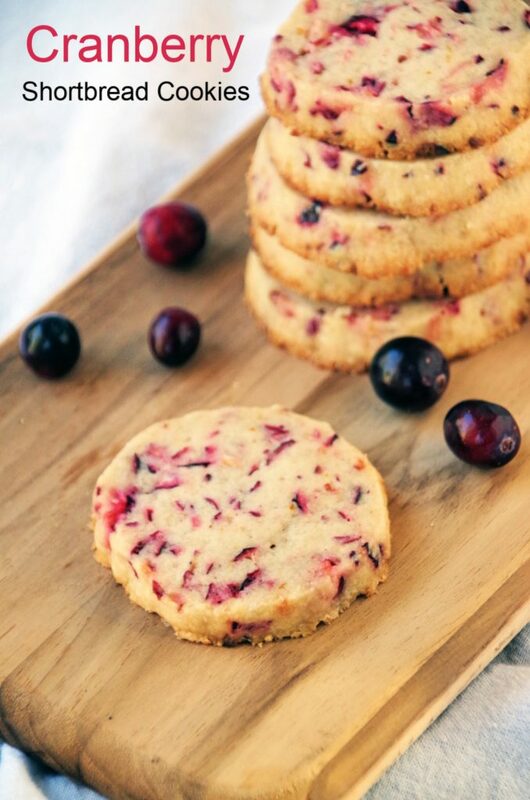 I added fresh orange zest to this cranberry shortbread cookie recipe and I think the two flavors blend beautifully together! Shortbread cookies are seriously the simplest cookie you can possibly make. Just butter, flour, a small amount of sugar and whatever flavor or add in you want to include. Today’s shortbread cookies used cranberries and orange zest. But if you want something more exotic, try my lavender shortbread cookies. If you have a bit more time for rolling and cutting, make my easy gingerbread cookies. What is the difference between a sugar cookie and a shortbread cookie? Sugar cookies tend to me MUCH sweeter and have a ton more ingredients like eggs, vanilla, etc. The beauty of homemade shortbread is in it’s simple ingredients and buttery flavor. Why do they call it shortbread? The term short, when applied to biscuits and pastry, means crumbly. The large percentage of butter in a shortbread cookie recipe makes the texture very crumbly. Hence, the name ‘shortbread’. Use only REAL butter. There is no substitute! You will need it to be very soft. I recommend leaving it at room temperature overnight so that it is soft enough to blend easily in with the rest of the ingredients. Finely chop your add ins. You don’t want large chunks of stuff in your shortbread cookies. It will be much harder to slice. I used a food processor to finely chop the fresh cranberries. You can store the rolled dough in the refrigerator for several days. 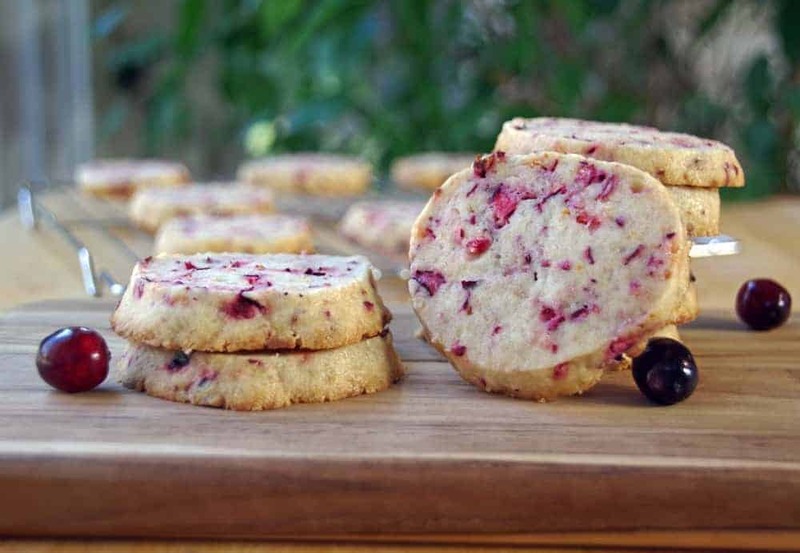 This cranberry shortbread cookie recipe really does not really brown much, even when they are done cooking. You will just be able to see a slight browning around the edges. Do not overcook! If you want a shape other than round, check out Amazon for some beautiful shortbread pans. You can get some amazing patterns in your shortbread by making them in a traditional shortbread pan. This easy shortbread cookie recipe is perfect for fall entertaining. Make up the dough ahead of time and bake right before your guests arrive. 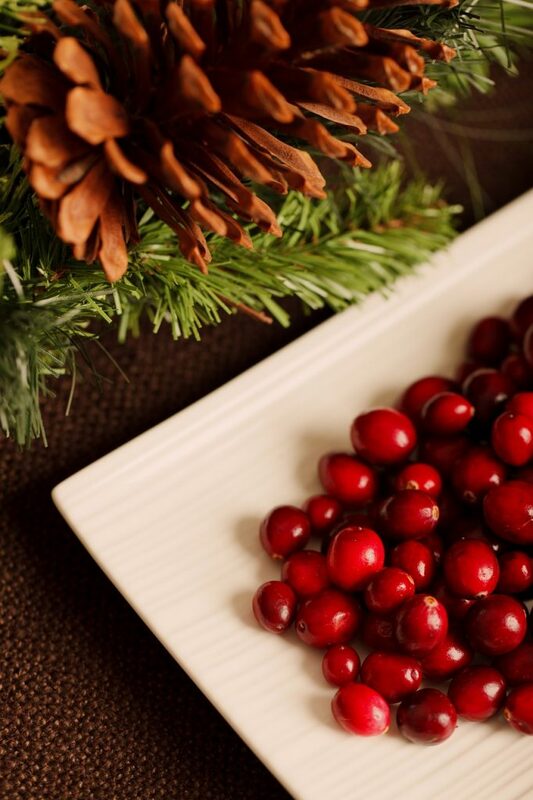 And if you have extra cranberries, use them in my homemade cranberry scrub or make Cranberry Wreath DIY Place Cards! Combine the butter and sugar. Mix on medium speed until well blended. Add flour about 1/2 cup at a time and mix until combined. Add cranberries and orange zest. Mix well. Divide the dough in half. Roll each half into a log and wrap in plastic wrap. Cut dough into 1/4 inch rounds. Place on ungreased cookie sheet and bake for 20 minutes or until the cookies start to brown. Remove from oven and let cool on cookie sheet. Can’t wait to try these! I, too, have cranberries to use. Thanks for posting this one. Merry Christmas! Hope you enjoy! Merry Christmas to you too! Hi, wonderful recipe. I was just wondering if dried cranberries could be used in place of fresh? They would probably work just fine! I made these cookies today and they spread out instead of keeping their shape. I used real butter and left the m in the frig overnight. What went wrong? Im not really sure. Not enough flour can cause spreading, as can an oven that is too hot, I think? If you try again, you may want to add more flour. Does this recipe call for white granulated sugar? yes. that is the type of sugar I used. Hi, what texture do these cookies have? Are these crisp or soft? Thanks!